We much prefer to book directly with our guests than through a large online travel agent like Airbnb, TripAdvisor or Owners Direct/HomeAway. Here’s why - these companies will charge you, the guest, a steep booking fee on top of our rental price, in most cases for doing nothing beyond being the platform through which you book your holiday. If you think paying the extra fee protects you against fraud, think again. Anyone can list a property on any of these platforms in a matter of minutes - with no checks whatsoever that a property is genuine. In fact, an owner with their own high quality website with lots of good information is probably MORE likely to be genuine as they have taken the time and effort to set this up. And if you are defrauded, are you confident these companies would help you out? There are plenty of stories online of fraud victims who have been completely disowned by the company they booked through. Fraud is rare, but there are plenty of ways to protect yourself, however you choose to book. Check the property’s online presence through a Google search - is the information the same everywhere? Owners details, description, photos - are they good quality and consistent? Give the owner a ring - have a chat about their property and check the information matches that online. And paying by credit card gives you payment protection. 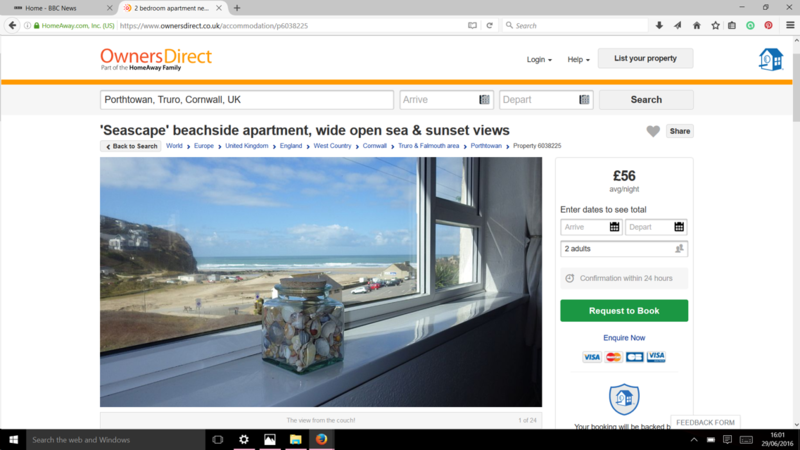 So next time you book a holiday - save money and support small holiday home owners - book direct!